Auto Repair in Myrtle Beach by Ace Mobile! You can trust the ASE certified Myrtle Beach auto repair mechanics at Ace Mobile Auto Repair. Ace Auto Repair has served the areas in and around Myrtle Beach for many years. Unlike other auto repair shops & mechanics in the Myrtle Beach area Ace comes to you. That’s right! 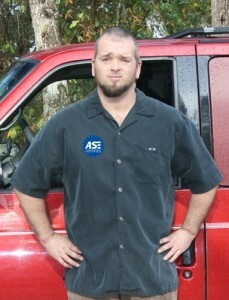 Ace is an ASE certified mobile mechanic service that comes to your location to service your vehicle. This means no high towing bills to Myrtle Beach area residents and visitors, when the are in need of services due to a broken down car or truck we come to you. Why is Myrtle Beach unique? Auto Repair in Myrtle Beach, SC is a bit unique due to the fact that we have a great number of local residents but we also enjoy a large volume of vacationers to our wonderful beaches in season. The main tourist season stretches from mid April through late October. We have beach goers in the summer months and golfers during the rest of the season. Because of this it is difficult for our valued seasonal visitors to choose an auto repair shop or Myrtle Beach mechanic when they are in need. With a great reputation of fairness and consistency among the locals Ace Mobile Auto Repair assures that they treat locals and visitors exactly alike. No gouging at the pump, so to speak with Ace Mobile Auto Repair all are treated FAIR! Ace Mobile Myrtle Beach auto repair shop services the following areas. Our Myrtle Beach mechanics travel to Myrtle Beach, North Myrtle Beach, Surfside Beach, Murrells Inlet, Pawleys Island, Socastee, Carolina Forest and surrounding areas. Whether you live or just play in Myrtle Beach and need an auto repair shop or mechanic you need ACE!